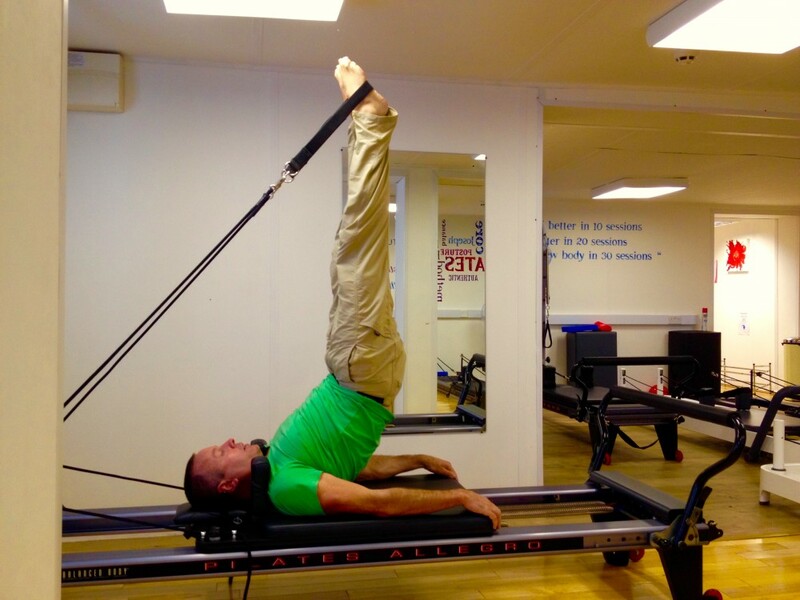 Become a Pilates teaching specialist with a Pilates Reformer qualification. This course will be run over 2 modules. Each module is set over 2 days. Module 1 will focus on performing and teaching the FFI™ level 1 Pilates Reformer movements, in a safe and controlled environment. You will also learn functional anatomy and movement during module 1. In module 1, students will have the opportunity to perform new and exciting movements on the reformer, with tutor correction. The student will also have many opportunities to practise their teaching skills on their fellow students, with tutor feedback. Students will study the FFI™ level 1 Pilates Reformer movements, from a general population fitness requirement. The student will also learn how to work with special populations on the reformer. Your tutor will discuss modifications for each movement and how to teach clients with common issues, such as back pain, osteoporsis and osteopenia. After module 1, students will be expected to practise and study the FFI™ level 1 Pilates Reformer movements, in preparation for their exam day. Module 2 will involve recapping and practise of techniques with tutor feedback. Module 2 will also involve students practising their instructional skills on their fellow students in preparation for the exam day. The exam day will be on the second day of module 2. After you have successfully completed your exams, required teaching / practise hours and case studies, you will be certified to teach FFI™ level 1 Pilates reformer classes to groups or private clients. The FFI™ level 1 Pilates Reformer instructor course is open to Pilates instructors, who have some Pilates teaching experience ideally. Learn how to teach group or 121 reformer classes for fitness and or in clinical rehabilitation of clients. Working with clients in rehabilitation from musculoskeletal injury etc. The FFI™ fundamental Pilates mat course will be set over two days, with an exam day 2-4 weeks after your course. This course will study a selection of the original 34 Pilates matwork movements, with modifications and progressions. This course is open to non qualified and qualified Pilates students. This course will give the student an introduction and history of Pilates. 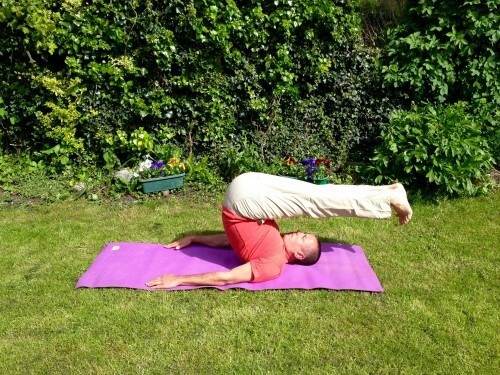 Over the 2 days the student will learn the fundamental FFI™ Pilates movements. Your tutor will demonstrate the movements and then give you an opportunity to perform the movements with feedback and correction. There will also be opportunities for each student to practise their teaching skills regularly, with tutor feedback over the 2 days. This course will also study warm up for Pilates matwork classes, postural assessment of your client(s), statically and through movement, (dynamically). The style of FFI™ fundamental Pilates, leans towards rehabilitative and corrective exercise from a physical therapy view point. The goal of the FFI™ Pilates method is to lead the student through the fundamental FFI™ Pilates movements safely and then to progress to the FFI™ advanced Pilates matwork instructor course. The exam day will give the student a chance to demonstrate their technical and instructional skills to their tutor in a relaxed environment. There will be theory and practical exams for the students. 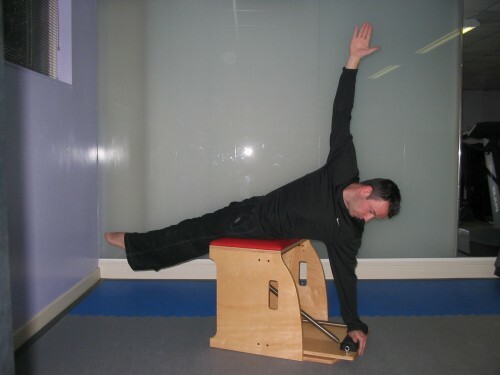 The benefits of FFI™ Pilates and corrective exercise. This FFI™ advanced advanced Pilates instructor course is a continutation from the fundamental mat course and is set over two modules or 4 days. This course will study and teach the 34 original advanced Pilates matwork movements with modifications and progressions. 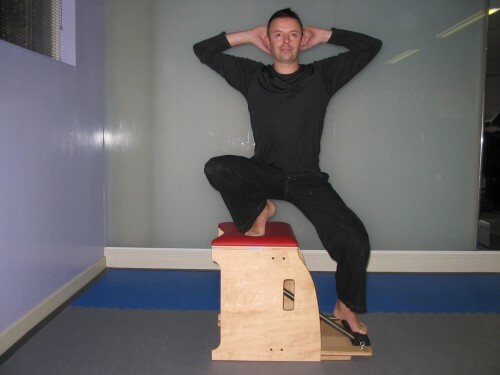 Module 1 will study the original 34 contrology movements invented by Joseph Pilates. The students will be taught how to modify these movements to help the general public in a safe and effective manner. Your tutor will demonstrate theses movements and then give you an opportunity to perform these movements with feedback and correction. There will also be opportunities for each student to practise their teaching skills regularly, with tutor feedback over the 2 days. In addition to learning the original Pilates matwork movements, you will also study Pilates & myofascial chains. You will learn how our bodies are connected from head to toe, through the myofascial network. You will realise how tension or weakness in one part of a myofascial chain, may lead to pain and dysfunction in another part of your body. You will recognise the brilliance of Joseph Pilates methods and how he was years ahead of many, in terms of movement and physical therapy. Module 2 will give the student a chance to demonstrate their technical and instructional skills to their tutor in a relaxed environment. Module 2 will also recap all movements and information for the students. The second day of module 2 will be the exam day. There will be theory and practical exams for the students. Both modules will also study warm up for Pilates matwork classes, postural assessment of your client(s), statically and through movement, (dynamically). Holders of any recognised Pilates teaching qualification. If you currently hold our pre 2016 FFI™ Level 1 Pilates matwork qualification or another recognised Pilates qualification and you would like to gain our advanced FFI™ Pilates matwork qualification, you may register for this course. Contact us to register your interest. Become a fully qualified FFI™ Pilates matwork instructor, with the FFI™ matwork course. 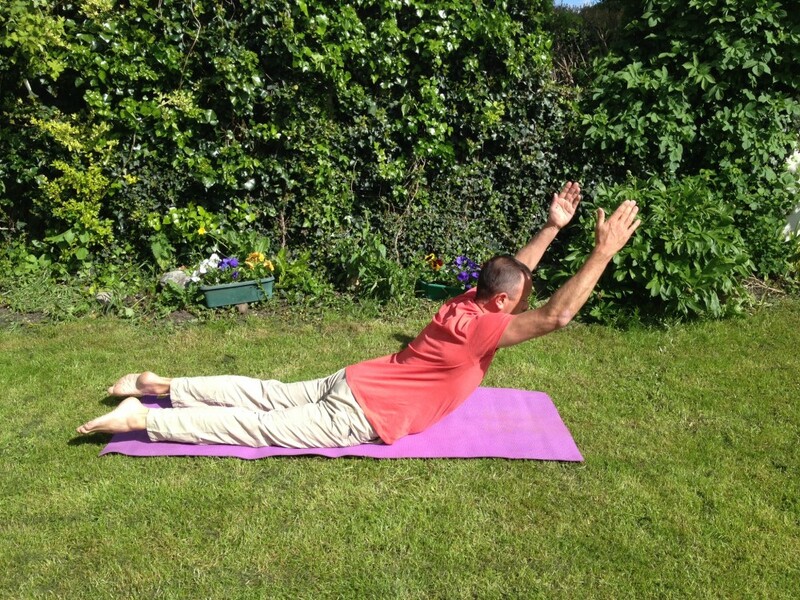 This course is open to anybody who is passionate about teaching the Pilates matwork methods. 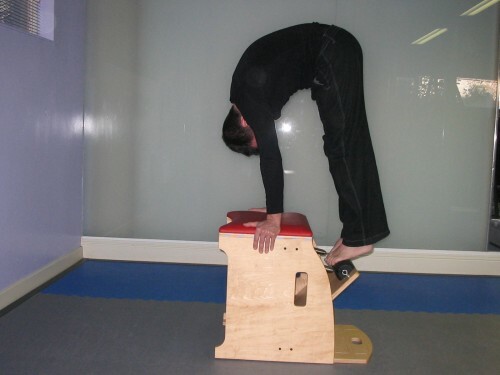 The course will cover our fundamental to advanced matwork movements, along with studio props. This 240 hour (Class time and external hours) matwork course will give you the skills to teach the full Pilates mat repertoire to the public in a safe and effective manner. This course will be run over 1 day or 2 evenings per week over 10 weeks. This course will be open to all, no experience needed. This course will combine the FFI™ level 1 fundamental and FFI™ advanced Pilates matwork movements. Functional nutrition, anatomy and physiology will also be taught during the course. There will be classroom study and practical sessions. The classroom sessions will help you study functional anatomy and physiology in a simple and fun environment. You will study kinesiology and human movement from a FFI™ Pilates student viewpoint. During this course you will be invited to attend some Pilates Reformer classes. This introduction to the Pilates Reformer will increase your knowledge of the FFI™ Pilates methods. This FFI™ qualification will also help you work alongside physiotherapists in helping their patients rehabilitate from musculoskeletal injuries and dysfunction. After you have successfully completed your exams and case studies, you will be certified to teach FFI™ level 1 and advanced Pilates matwork classes to groups or private clients. Study the benefits of Pilates and corrective exercise. Receive an introduction to the Pilates Reformer. 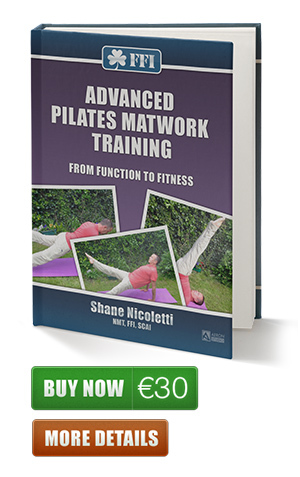 The FFI™ Pilates courses will be taught by Irelands first male Pilates tutor Shane Nicoletti FFI Neuromuscular & Physical Therapist NMT. 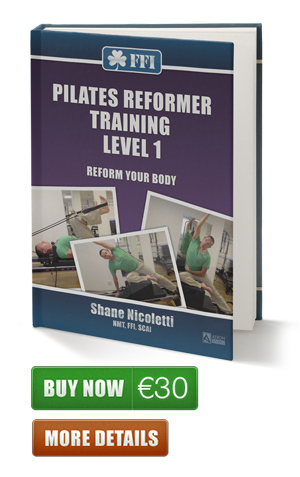 Our head Pilates tutor Shane Nicoletti NMT and Strength & Conditioning coach, trained with Michael King (3rd generation Pilates teacher) in the late 90's in London and has been the leading tutor in Ireland since then. Shane is currently working alongside Louise O' Rourke Physiotherapist and her team, in a Pilates and Physiotherapy studio in Dublin. Many of the clients that they work with have osteopenia /osteoporosis or some kind of back injury. Alongside the Physiotherapists, they all work as a team in helping their clients rehabilitate from injuries. 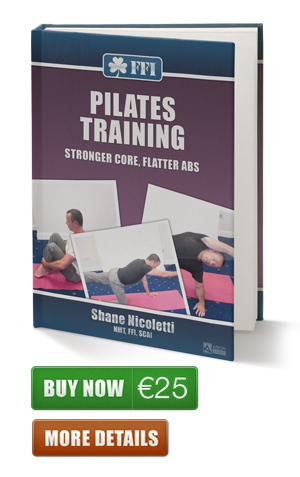 Shane also runs a dedicated Pilates studio in NewYou personal training on Baggot street Dublin. You will receive expert tuition when you attend our FFI™ Pilates courses, as we will share our experience and knowledge with you. Pay a €150 deposit to book your place on the course. The remaining fees are to be paid on the first day of your course. Advanced course only: Pay a €150 deposit to book your place on the course. Level 1 Fundamental matwork: Participants must produce a copy of their current relevant teaching qualifications. If you do not hold a valid teaching qualification, contact us for more information. Advanced matwork: Participants must hold a recognised beginners or fundamental Pilates matwork qualification with any recognised Pilates school. 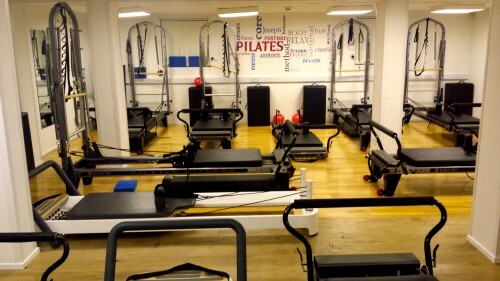 Level 1 & 2 Pilates Reformer: Participants must hold a recognised beginners or fundamental Pilates matwork qualification with any recognised Pilates school. There are no requirements, only that you have an interset in and a passion to teach Pilates classes. On the FFI Pilates exam day, which can be separate from your course modules, all participants must complete a written exam and partake in practical exams. The written exam can cover Anatomy, Physiology, Principles of health related fitness, ethics in health / fitness and your Pilates course theory. Participants will be assessd on technical abilities and instructional skills. Some practical exams may have to be completed via private video. All participants on our fundamental and combined FFI matwork courses must complete a programme design task, that can include 4 separate case studies, designed over 6 weeks, that would include over 20 hours of teaching. Students must also partake in 20 hours of personal Pilates practice and write a 500 word Pilates essay. As part of the certification process, all participants on our FFI level 1 Pilates Reformer courses must complete up to 40 hours of Pilates Reformer teaching practise. Students must also partake in 40 hours of personal Pilates Reformer practice. All details will be documented and presented to FFI. All of the above will be covered on the course by your tutor.